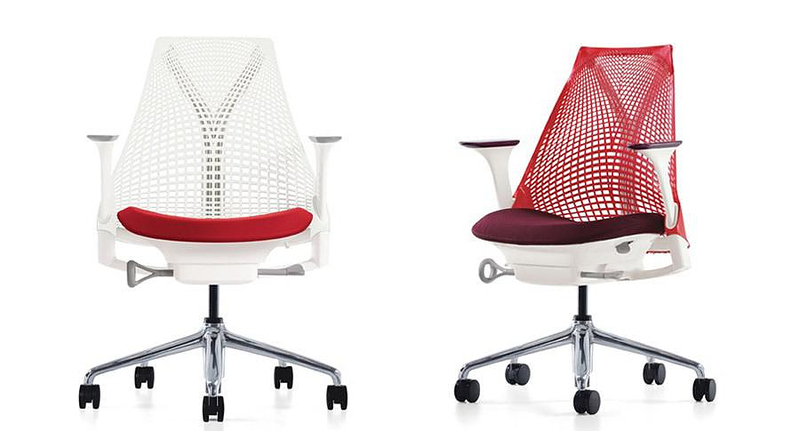 HomeBlogHome DecorHerman Miller SAYL Task Chair by Yves Béhar. 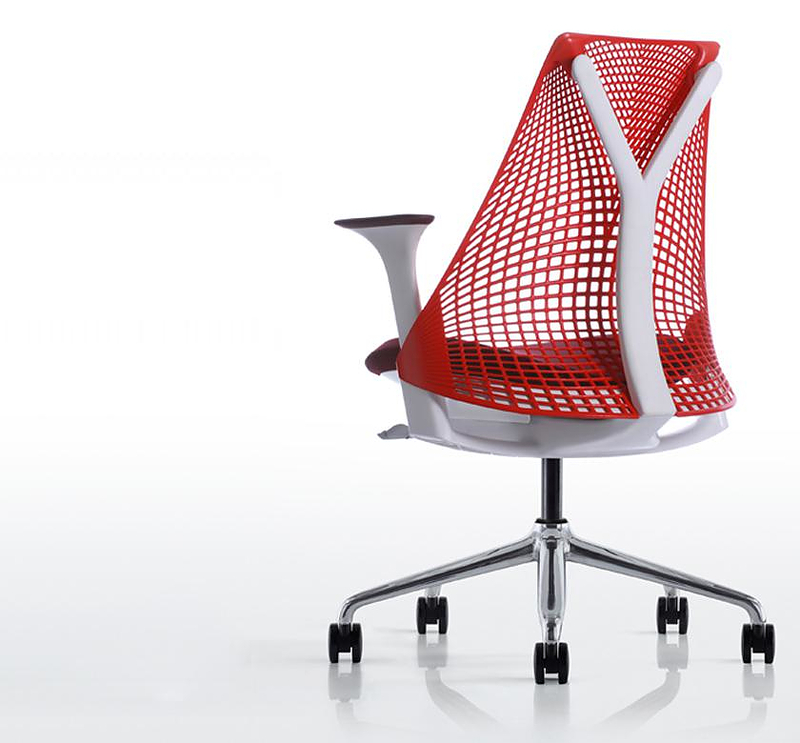 Herman Miller SAYL Task Chair by Yves Béhar. 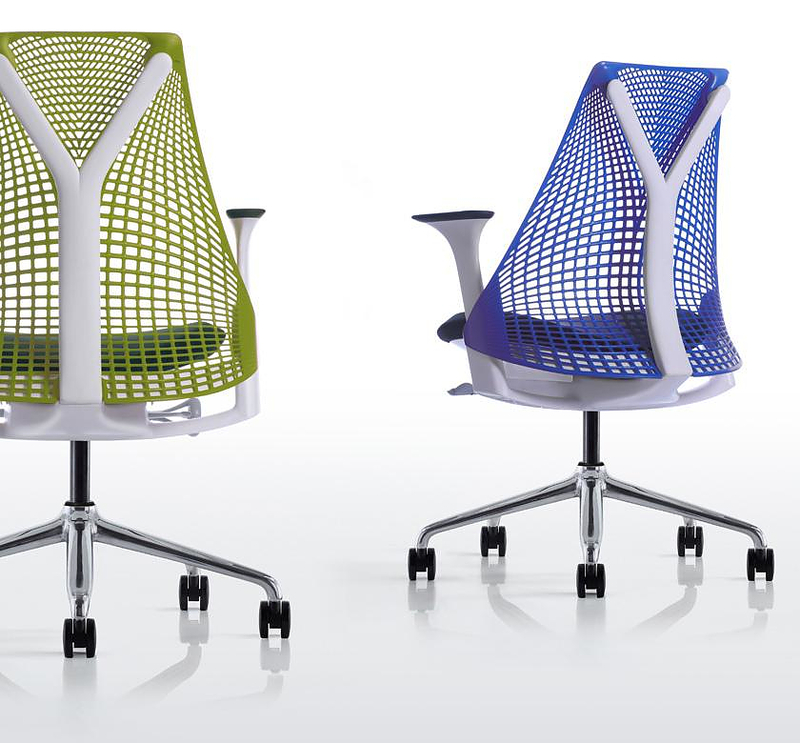 World-renown furniture company Herman Miller recently assigned the design of its new office chair to famous designer Yves Béhar and the result is the beautiful SAYL task chair. Béhar’s inspiration was the Golden Gate Bridge of San Francisco, where he is residing. If someone notices the chair by the side, he will observe that the angle that the chair forms on the back side vividly reminds the profile of San Francisco’s distinctive landmark. 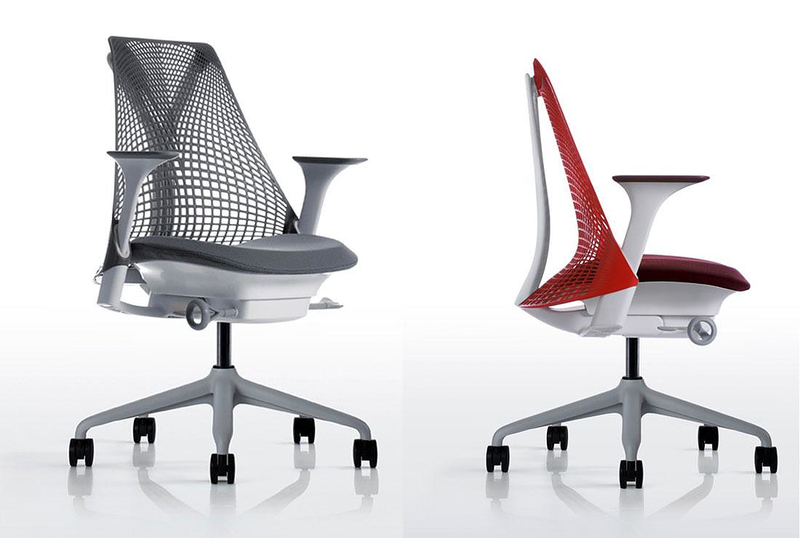 Herman Miller SAYL task chair integrates all these values which established Herman Miller as one of the leading furniture manufacturers, innovation, beautiful design, anatomically correct shape, quality and respect towards the environment. 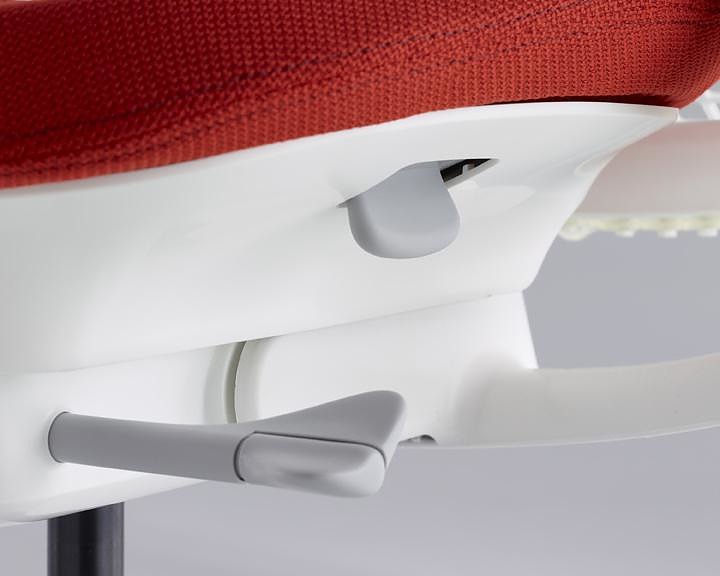 Inspired by the principles of suspension bridges, the frameless back of the SAYL work chair encourages a full range of movement while the suspension back material keeps you cool. 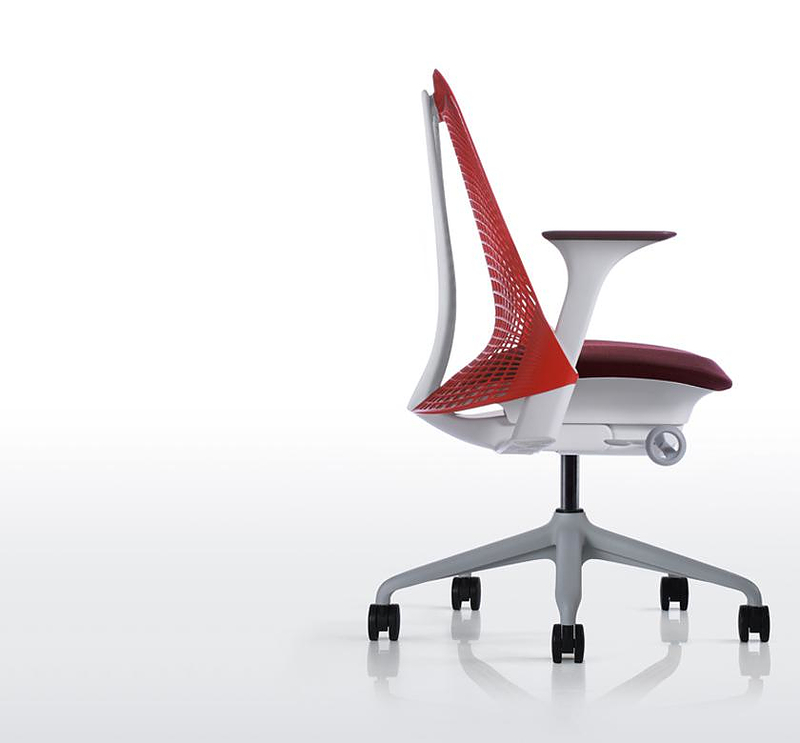 Its first-class ergonomics are defined by the carefully-designed shape of the seat and the special backrest which is made from a flexible perforated material, designed in 3-D for controlled distortion. 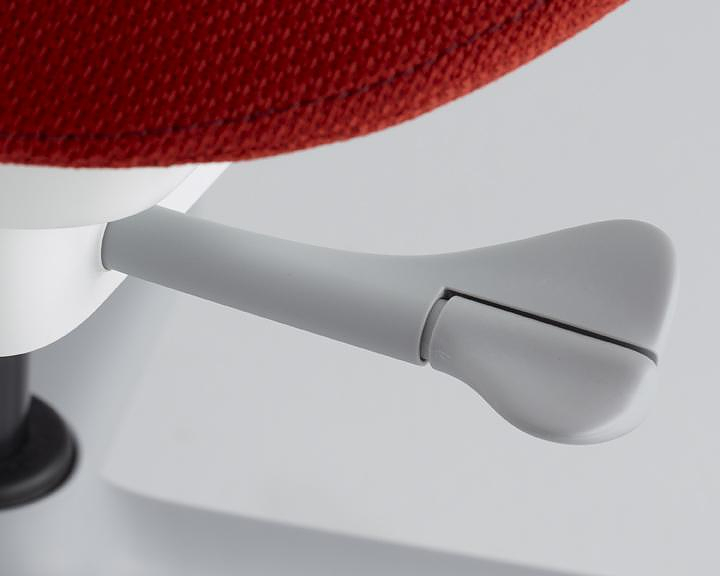 The backrest takes the shape of the body and embraces the user and provides support where needed without forcing different body types to pre-defined seating positions. 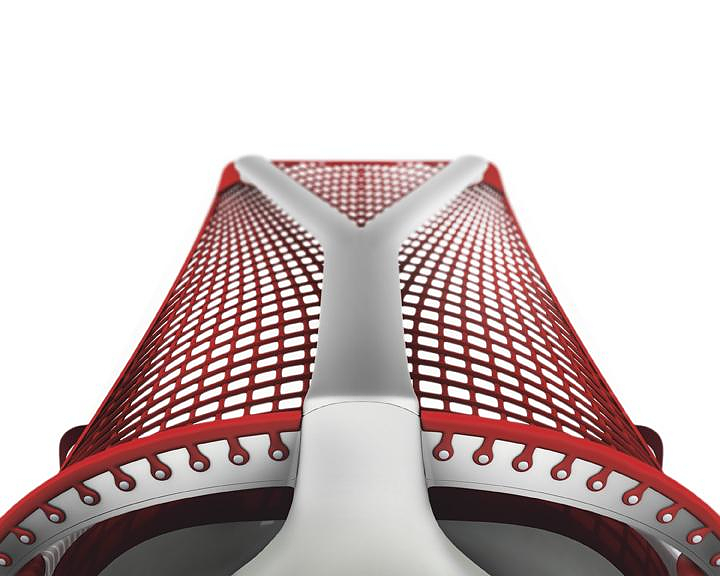 Herman Miller SAYL is made from 10% recycled materials and when the chair is discarded, there is a provision for easy separation of its materials, 93% of which is recyclable. In addition, the manufacturing process is performed by machinery that uses electricity exclusively from renewable energy sources, 50% of the energy is produced using wind turbines, and the other 50% from bio waste treatment. 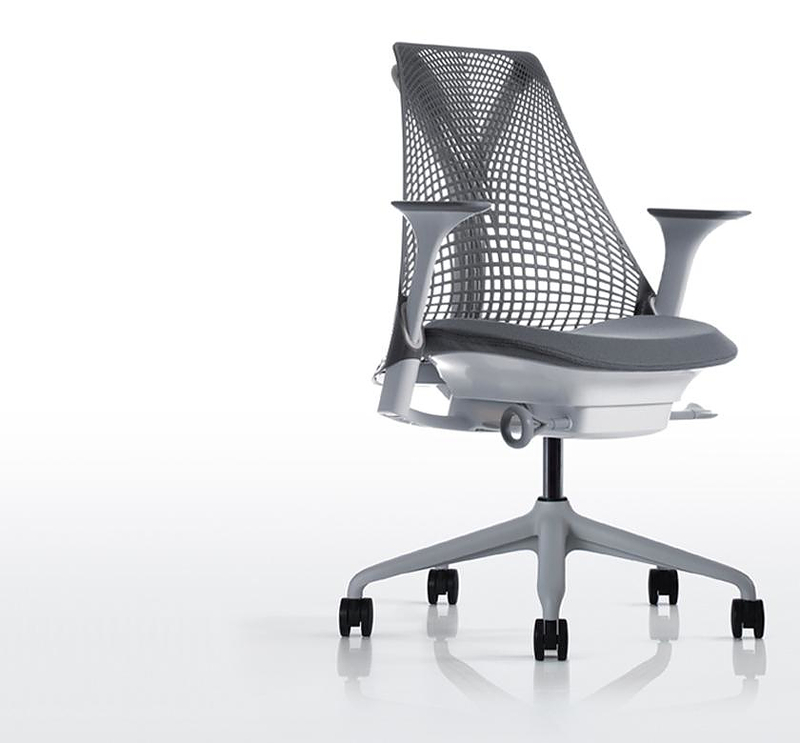 Besides being an excellent task chair with respect to the environment, the Herman Miller SAYL possesses one more interesting feature. 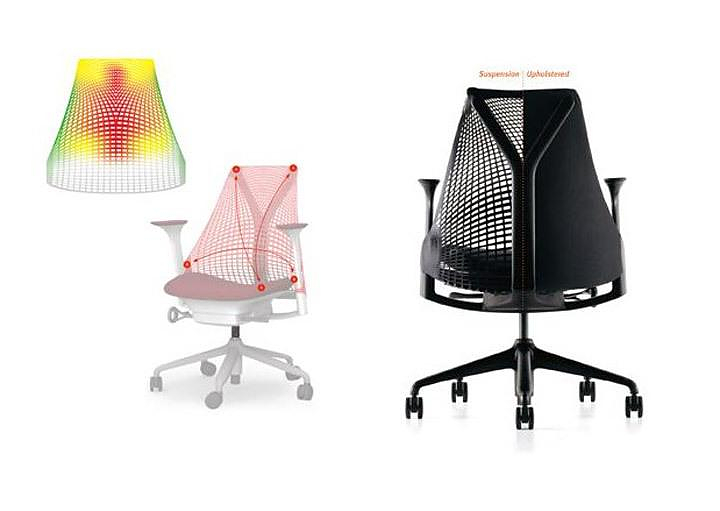 It is the most affordable seat in the range of Herman Miller, thus making the company’s renowned quality and ergonomics accessible to more people than ever before. 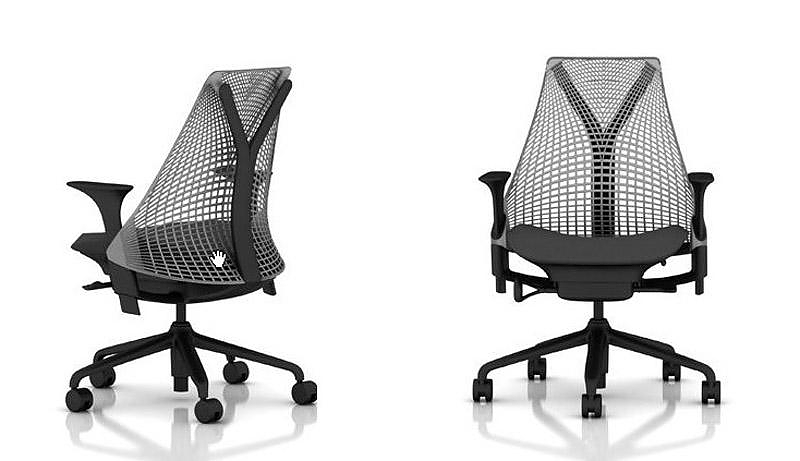 It is not yet available in Europe but the price in the USA is at just $399 making it one of the most affordable seats in its category. 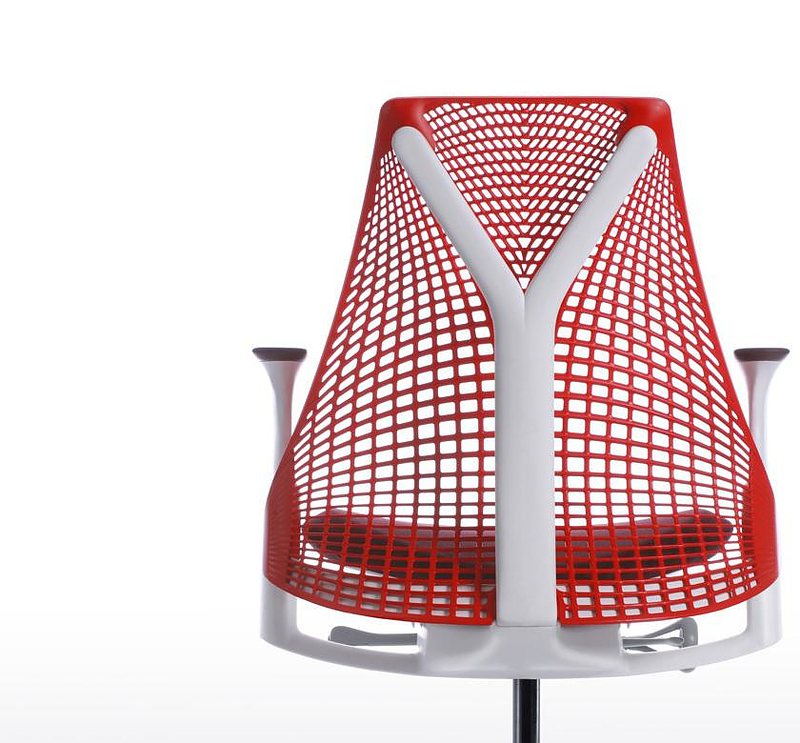 Emeco Hudson Chair by Philippe Starck. Design Cat Furniture by Everyday Studio.